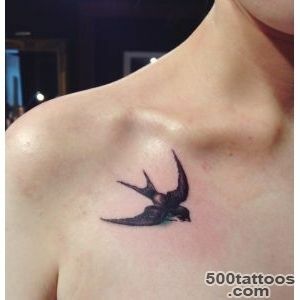 In European culture, the swallow tattoo - a tattoo amulet, it gives strength and attracts good luck. 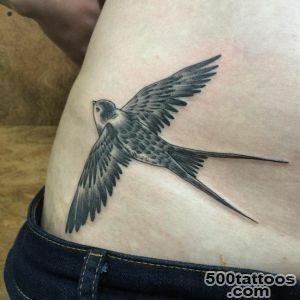 Probably because of the tiny size of the bird, the black color of its plumage and the rapid flight of the swallow tattoo designs do the same : black, miniature size and dynamic (eg,a flock of swallows depict an ankle - and then it turns out that the birds are constantly on the move ). 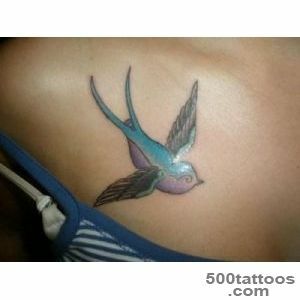 If swallow tattoo is combined with other tattoo charms ( four-leaf clover, horseshoe ), it often makes color. 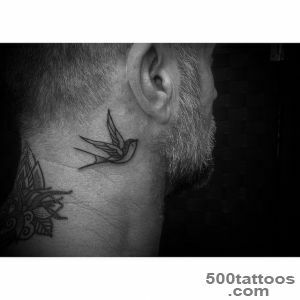 Tattoo swallow quite often combined with floral and plant motifs.Quite often tattoo depicting swallows weave in monogram ( the initials of the owner name and last name ) - is that it enhances the strength PROTECTING tattoo. 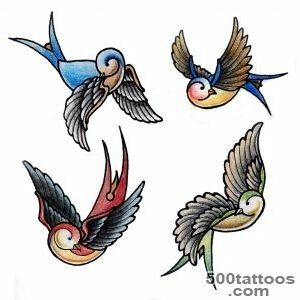 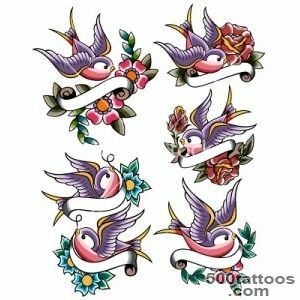 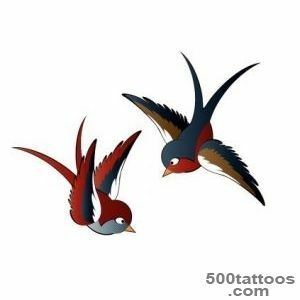 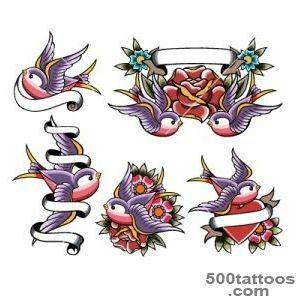 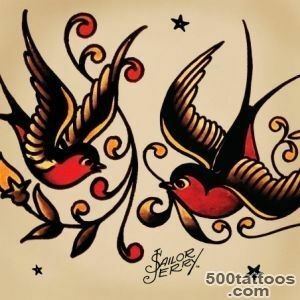 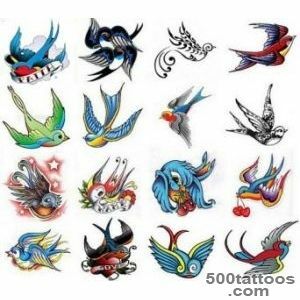 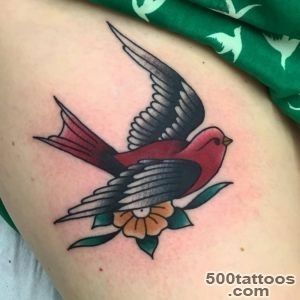 Image of swallows on the tattoo - it is primarily female tattoos, but as part of a large swallow tattoo - inherent and " masculine tattoos." 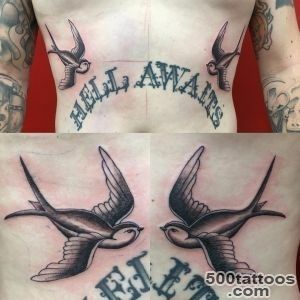 All the more so before the soldiers believedswallow that rapidly carry souls of the dead to heaven. 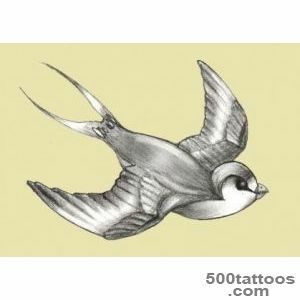 For many centuries, the swallow in the culture of the Europeans - a symbol of goodness, have not lost this significance in our day, centuries later. 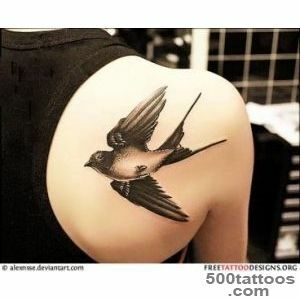 Less common meaning swallow tattoo : it is a symbol of fertility. 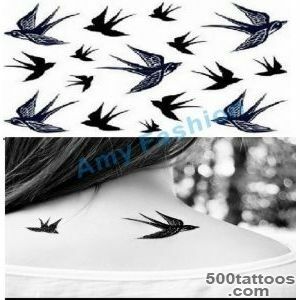 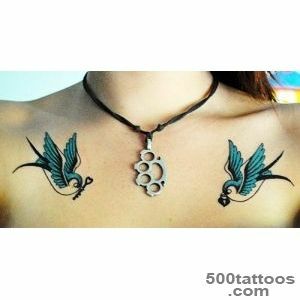 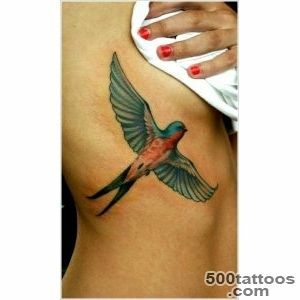 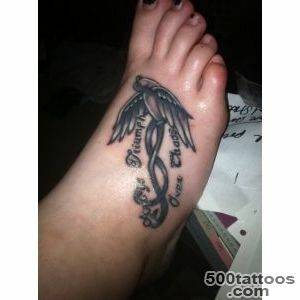 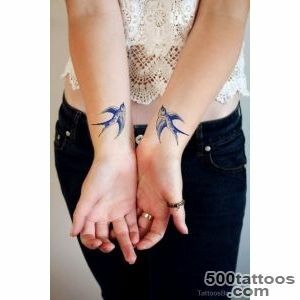 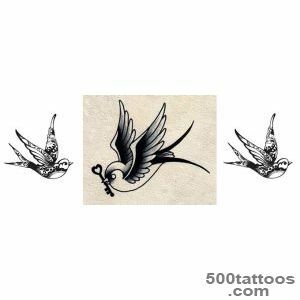 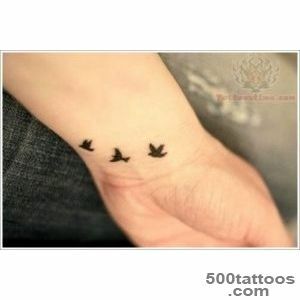 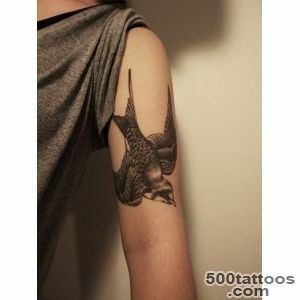 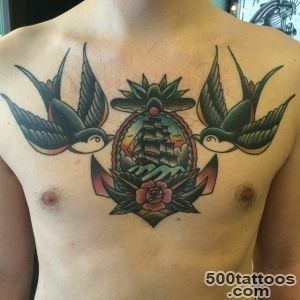 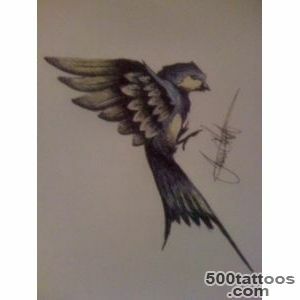 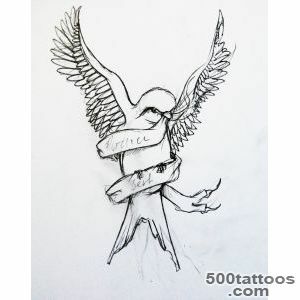 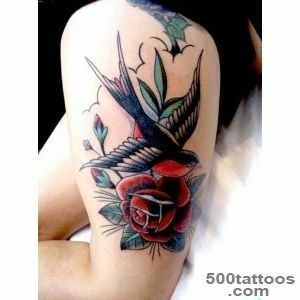 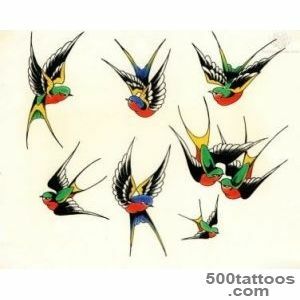 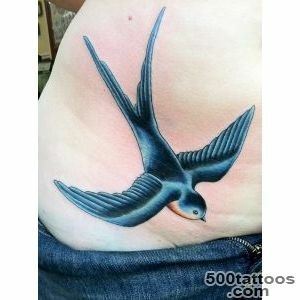 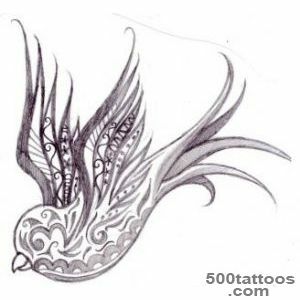 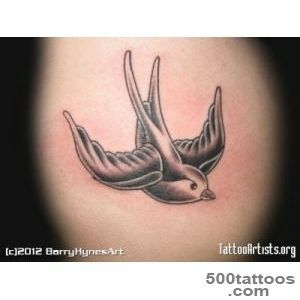 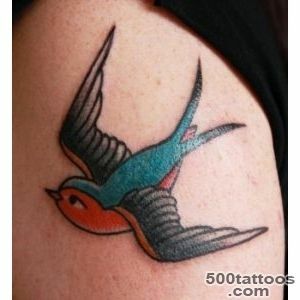 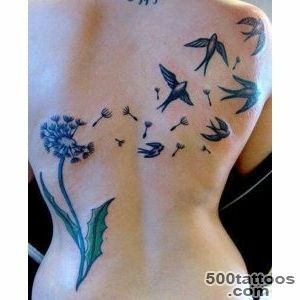 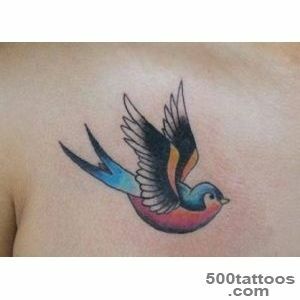 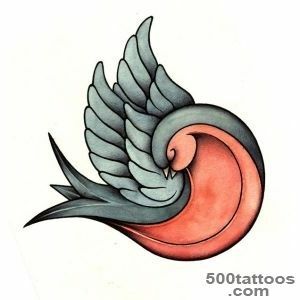 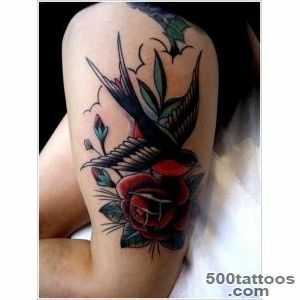 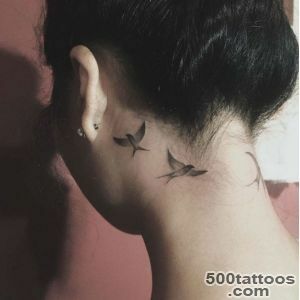 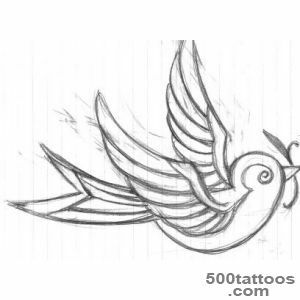 Swallow Tattoo Value - is the youth,swiftness of the move through life, easy to change places. 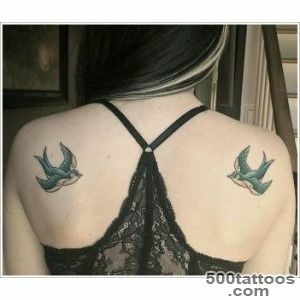 There are three composite value of tattoos. 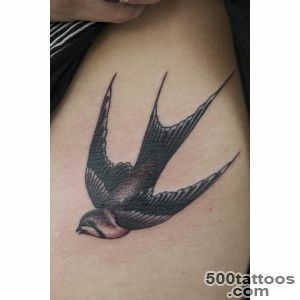 Flying swallow - symbolizes the swiftness of life and purity of thought. 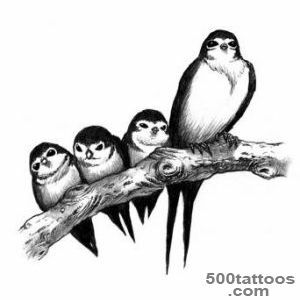 Sketch of tattoo swallows on nest - love of family. 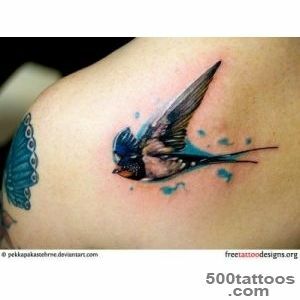 Swallow, flying under the rain drops - symbol of the fact that there is always hope,in spite of the hardships and difficulties. 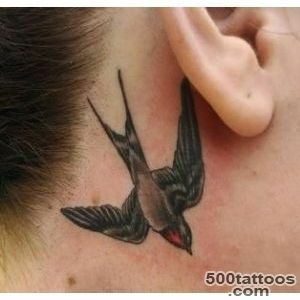 Swallow in the Christian culture is positioned as a symbol of resurrection and the beginning of a new life. 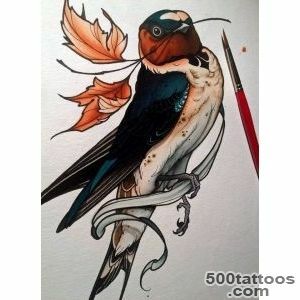 Swallow with a flower in its beak - direct association with the spring and the good news, this interpretation of the image of the bird is significant for Europeans. 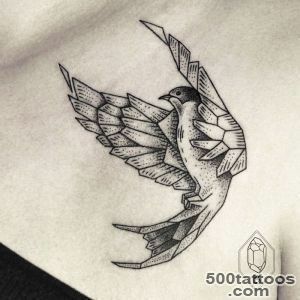 Another interpretation of the swallow tattoo in the eastern culture.For the Chinese, the swallow - a symbol of daring thoughts, danger and at the same time, favorable changes. 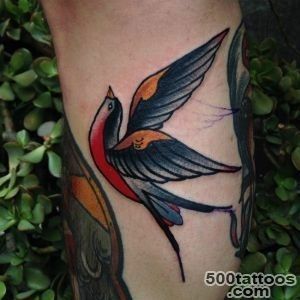 The Japanese are credited with a value of a swallow tattoo : maternal care and loyalty to home, family values ​​.